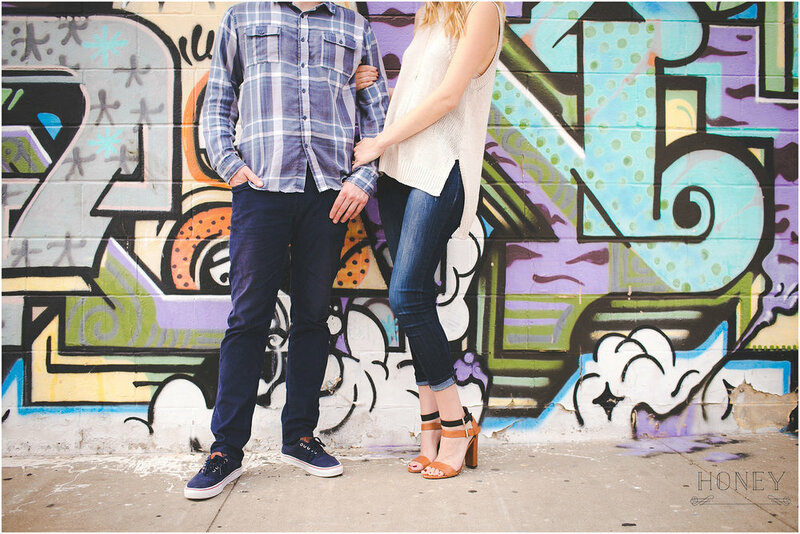 This may be my favorite engagement session ever! Just wait until you see these guys. Michelle and Brian first met in high school, but their story as a couple didn't begin until some years later when they ran into each other when they were both back in town visiting from college. They're both driven, outgoing, stylish, and both have a twin. But no... their twins are not also a couple, though I bet they get that question ALLLL the time. For their session, they wanted their photographs to represent all the different sides of their relationship. Casual and comfy, romantic and sweet, and then elegant and classy. They nailed it. 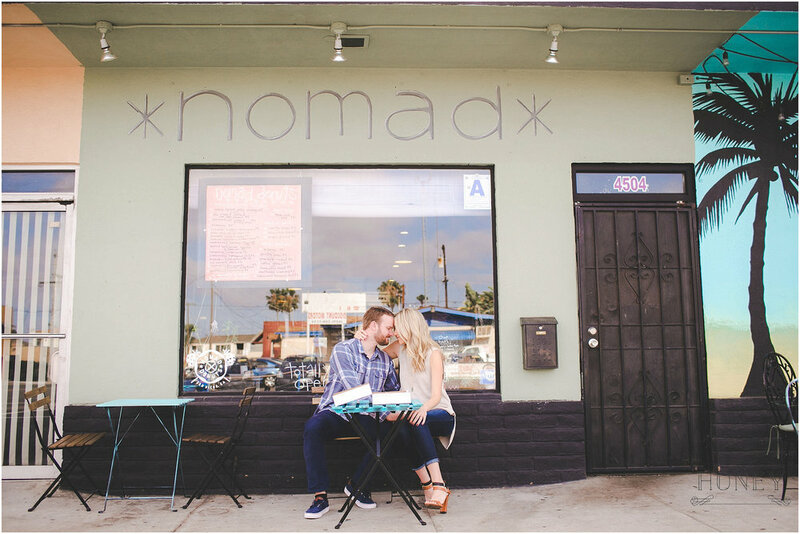 We started our time together at a local San Diego donut shop called Nomad Donuts where we stuffed our faces, found donuts that matched Michelle's fingernails, and found a graffiti wall that I could stare at all day. 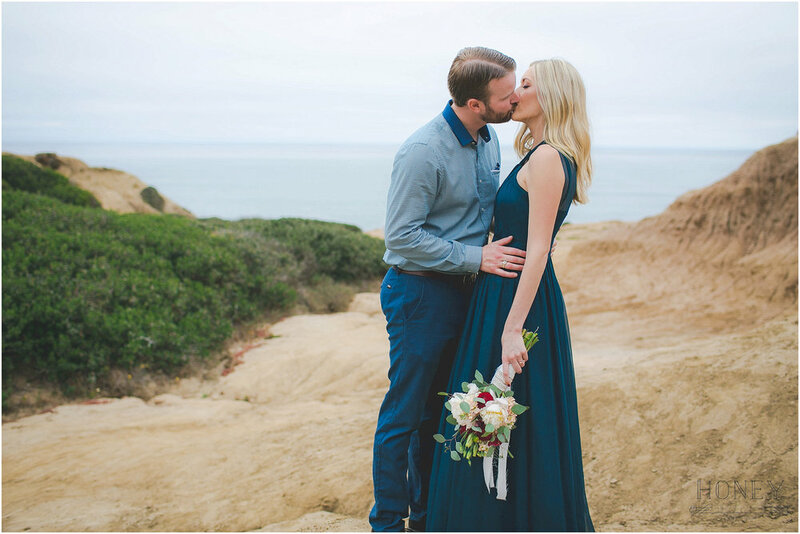 Next we hit up some open land by Point Loma Nazarene where Brian rocked some amazing burgundy pants and Michelle looked like a woodland fairy. Really though. 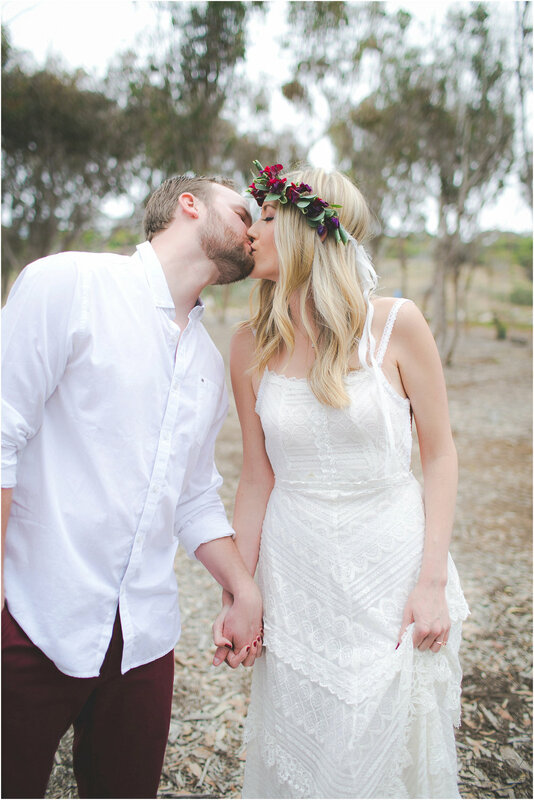 Flowers in the hair and long white dress. Rocking it. We ended our day next to some bluffs at Sunset Cliffs. Wait until you see this girl in her burgundy lips and long navy dress. I can't decide which moments were my favorites. Spending the afternoon with them was a joy!